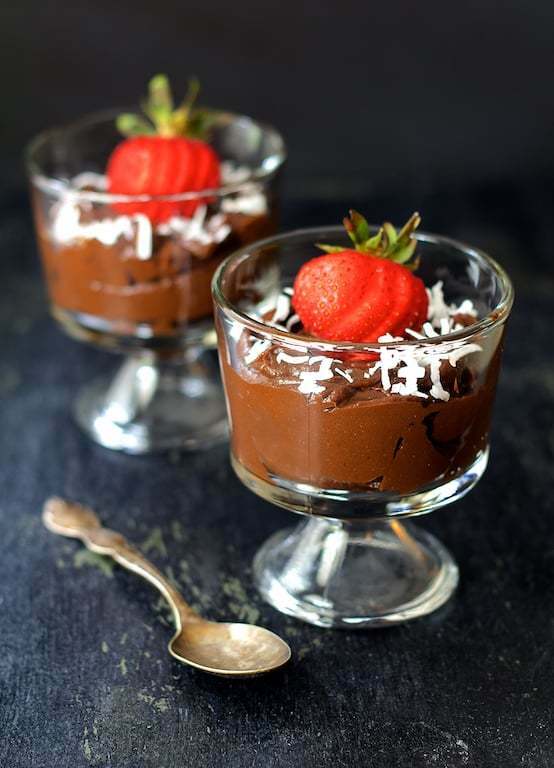 Sinfully rich and healthful peacefully coexist in this Paleo-friendly and refined sugar-free Chocolate Avocado Mousse that is so simple to prepare you won't believe it! Soak the dates in hot tap water for 1 hour; drain. Pit the dates and remove what skin you can. Combine dates, avocados, cocoa powder, honey and vanilla extract in a food processor or blender. Process until smooth and fluffy. If any date "bits" refuse to incorporate and smooth out, press mousse mixture through a fine mesh sieve. Serve in glasses with unsweetened coconut flakes and chopped hazelnuts.